PANLUX company brings a new intelligent WiFi 666 system to the market, which allows you to control the lighting in your home by using an app installed on the mobile phone or tablet. The WiFi 666 app is freely available on Google Play (Android) and AppStore (iOS). 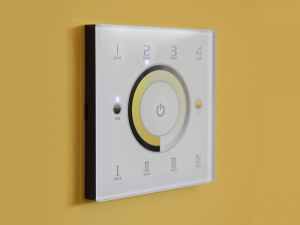 You can also buy wireless wall-mounted controllers with modern design which replace the usual switch and offer the comprehensive and convenient functionality. 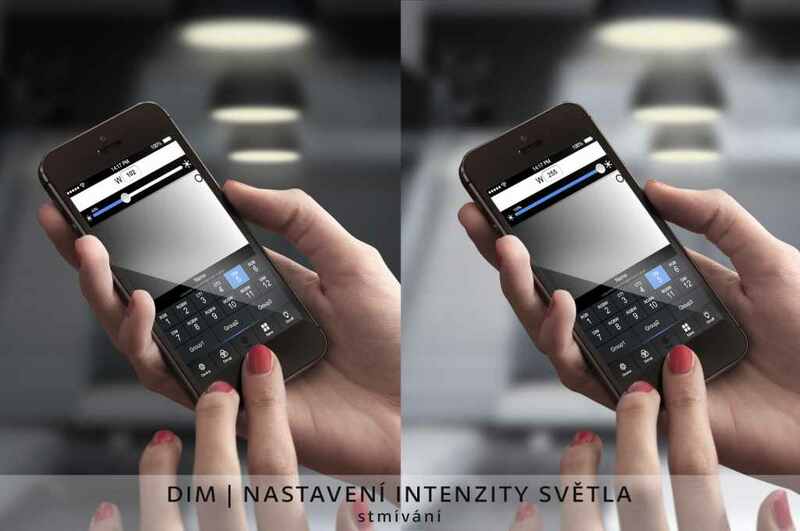 If you want to control the luminaires in your home using a mobile phone, you need a device that is called WiFi 666. Bellow you can find two different wiring diagrams, where the appropriate connection of WiFi 666 and other components of this smart system is described. Any luminaire with constant voltage input of 12 / 24V or constant current input of 350/500/700/1050 mA can be controlled within this system. 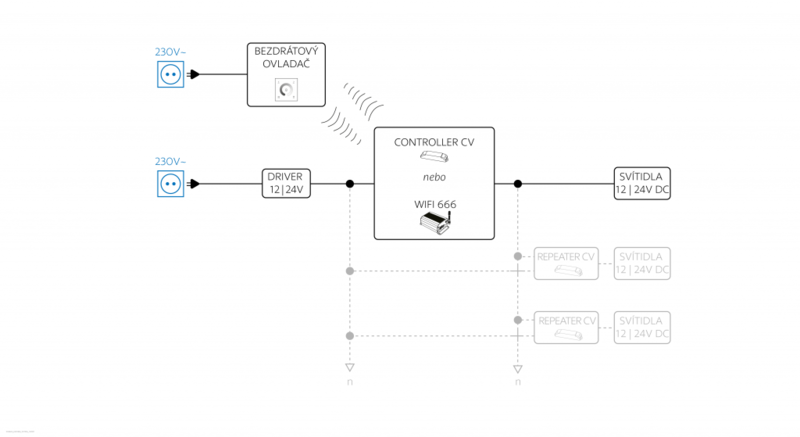 If you want to control luminaires only with wall-mounted wireless controllers and not with a mobile phone, you will not need the WiFi 666 device. 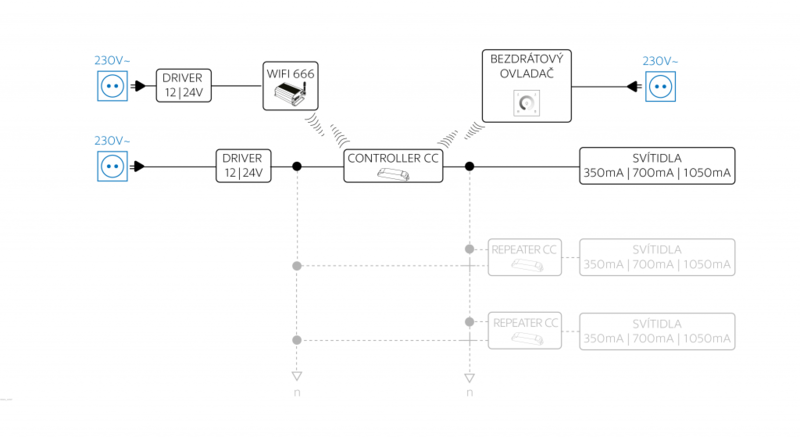 Thus instead of WiFi 666, you will connect the Controller into the circuit (as shown in the wiring diagram). If you want to control luminaires only with wall-mounted wireless controllers and not with a mobile phone, you will not need a device WiFi 666. Wiring diagram remains the same, you will just skip that part which includes WiFi 666. 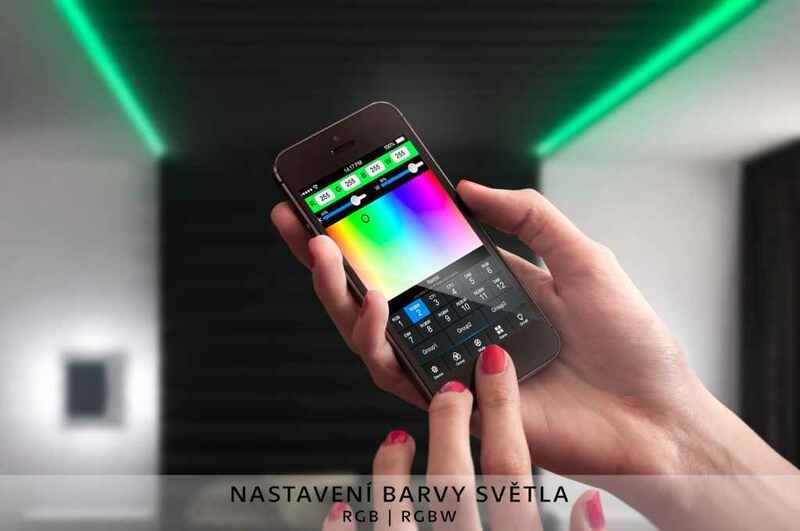 RGB | RGBW – can be used with lamps, luminaires and LED strips, which allows the colour changing in the RGB and RGBW spectrum. Our product range is being continually tested for compatibility with the WiFi 666 system. The list of all verified products can be found HERE. This list will keep growing in time. Is it possible to control the light over long distances using the WiFi 666 app, even if I am not at home? It is not possible to control the luminaires using WiFi 666 unless you are connected to the same WiFi network as the WiFi 666 device. Therefore, you cannot accidentally switch on the lights if you are not at home.